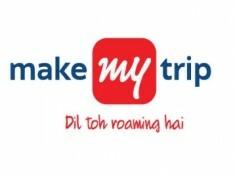 Makemytrip is running a great value deal on Thailand Trip, They are giving Free visa to Indian Passport holders is being provided by Thailand embassy and Fares starting From Rs.4999. Use Coupon Code: THAITRIP. Enjoy your trip and save more money on travel wth us. Free VISA available till 30th apr’19 for a stay up to 15 days. Free Visa to Indian Passport holders is being provided by Thailand embassy & MakeMyTrip is not liable for any rejection of VISA by the embassy on arrival at Thailand. Additional discount of upto 7% upto Rs. 9000 on code THAITRIP.